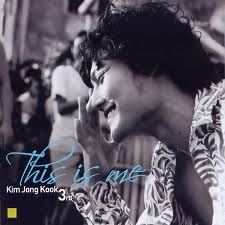 To celebrate Kim Jong Kook 18 years anniversary, I have selected some classic songs from Kim Jong Kook albums. Looking back, it seems like i grew up listening to his music, which was amazing. Those 18 years were great with Kookie in the entertainment scene. I personally look forward to more of him in the years to come. 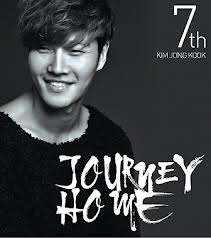 Kim Jong kook has been my favorite singer and his songs were so good that it was hard to choose the songs which i like best from all his albums. What is your opinion? 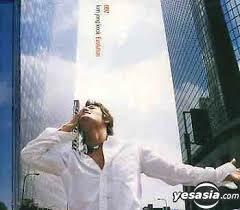 Any Kookie songs from the past 18 years that you absolutely love and would like to share with me? Feel free to share your mind. This song is about reminisce of beautiful memories and past experience. When i first heard this song, it gave me a comfortable feeling with a tinge of sadness. Time flies and this song reminds me of my school days and a younger Kookie that looks so different from now. I remembered this song as very special and catchy when i first heard it. The rhythm and the saxophone catches my attention, and i remembered Kookie holding a cigarette while singing the song in a Jazz Bar. Although this song is nice, i wished the MTV can be better in quality too. I simply love this song the first time i heard it. How to miss such a nice song, with a great intro and a nice melody? This song attracts me and immediately catches my attention with the background music. If you have not heard of this song, i would highly recommend. I feel so sad whenever i heard this song and Kookie voice matches this song prefectly. The lyric is well written - Don't be good to me, i find it hard to part with you whenever you are near me. It is indeed painful to love someone who does not reciprocate your love. 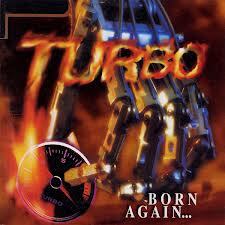 This is one of the classic hit from Turbo and i really like their songs. 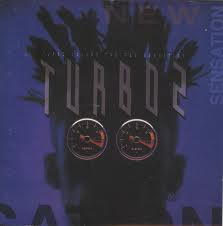 It is so hard to choose a song from his Turbo days but i like Twist King the most because it is a lively and cute song. Black Cat, My childhood dreams and Goodbye yesterday were nice and catchy songs too. Why did i like this song? Well, Kookie catches my eyes in this Music Video if you get what i mean. Yes, the sceneries is beautiful and Kookie is hot. A muscular guy dancing and singing to a cute song? At first i am not used to the transformation of Kookie when i first saw it. However, this song is very cute and catchy so i got to overlook the fact that Kookie physical appearance does not match this song at all. Despite that, i still love this song and Kookie is still cute in my eyes. Kookie is good in ballad and he knows that very well. Therefore, this song is another classic song that was well delivered by a vetern singer like him. He is able to express himself well and control his vocal chords as he sings. I love this song even when i heard it for the first time. Great attempt for Kim Jong Kook to act in his own Music Video. The storyline was cheesy but as long as it deliver the message of the song, i guess i can overlook that. Overall, a touching song worth to listen over and over again. Yoon Eun Hye guest starred in this Music Video, how adorable is that? Kookie and Eun Hye were playing lovers in this MV. Aside from the hype, i personally love this song very much. To her Man is another good song from this album. This song is soothing, soft and gentle. Highly recommended for people who love ballads. This is simply a cheerful and cute song. I feel a sense of sweetness whenever i listen to this song. This is a song about gratefulness and it was heartwarming to hear the sincerity in his voice. This is a sweet love song that is so romantic and gentle. Love this classic song of his. Kim Jong Kook and the two kids sang this lovely song together. I love the rhythm and the beat of this song. I would say that this song is really nice and special to me. This is a really nice song which i love so much. 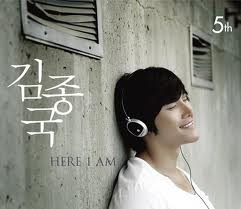 The music is enchanting and Kim Jong Kook is able to sing so well that it touches my heart. This song makes me happy and cheerful the whole day. How about you? Where can I download these in high quality? How come you don't know (ost. Good doctor) is a good song too..